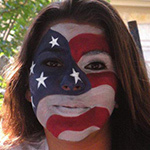 Make your sports event one that your guests will never forget! Take your sports event to the next level with our wide variety of entertainers! 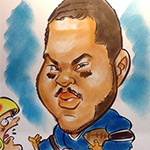 Our caricature artists are always a huge hit! Whether you’re getting one done, or watching the artist work, everyone is entertained by this popular option. Plus, your guests will get a souvenir to remember the event by for years to come! 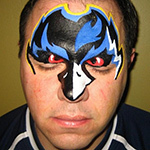 With a wide variety of colors and a whole lot of talent, our face painters can help you show some love for your favorite team! 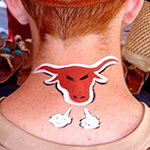 They can create any school mascot or logo, and they’ll be sure to bring extra of your team’s colors! 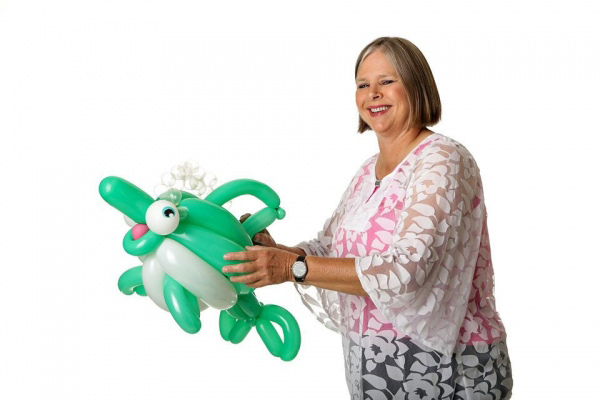 Our balloon sculptors can add a little fun to your event with cool balloon hats, animals, swords and more! Stilt walkers and Jugglers can wander around outside and entertain guests as they’re waiting in line, and our clowns can keep the mood light and your guests laughing. Win or lose, your event is sure to be a success! All of our entertainment offers a fun and unique way to elevate your event! Whether it’s a stilt walker that leaves your guests in awe, or a talented caricature artist that gives them a personalized piece of art, everyone will have a blast. Our entertainment will help create a one-of-a-kind experience that your guests are sure to talk about for years to come! If you’re interested in one of the types of entertainment listed above, or maybe something that wasn’t mentioned, contact us! We have tons of options, and there is no limit to how many entertainers you can book, or how many of your guests will leave with a smile.